HOW ACQUIRED: Number 13 pick in the expansion draft from Minnesota Twins. PILOTS BESTS: Most grand slams (1, tied with Talbot); Most times hit by pitch (5, tied with Mincher). 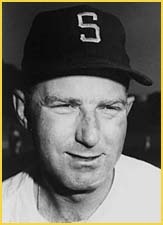 HONORS: American League All-Star 1962; American League triples leader 1964 (10). FACT: Rich's hobby is tennis.